Democrat Richard Ojeda is out with his first ad of the general election. Democrat Richard Ojeda, the tattooed Army veteran and West Virginia state senator running for U.S. Congress, is out with his first ad of the general election -- one that highlights his military service, family ties to coal and commitment to Social Security. The ad, entitled “Airborne,” introduces Ojeda driving a Ford past the green hills near his home in Logan, West Virginia. (CQ Roll Call via Getty Images, FILE) Richard Ojeda, left, stands outside his campaign headquarters in Logan, West Virginia alongside his communications director Madalin Sammons, center, and campaign volunteer Heather Ritter, right, July 5, 2018. Ojeda is a first-term lawmaker from southern West Virginia running to represent the states 3rd Congressional District as a Democrat. The ad then spotlights Ojeda’s 24 years in the U.S. Army and two Bronze Stars from combat tours in Iraq and Afghanistan. “We need to diversify our economy but I also think we still have a future in coal. I want to protect Social Security. You guys have paid into Social Security your entire working careers,” Ojeda says in the ad. A quarter of West Virginians were Social Security recipients as of 2014, according to the AARP. 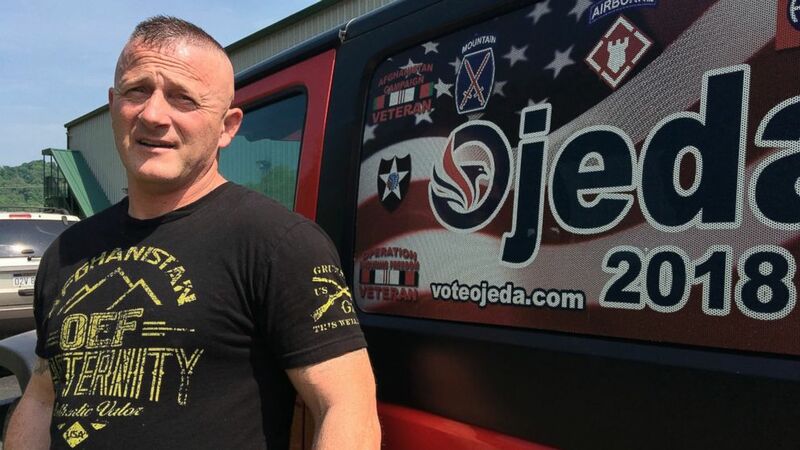 Ojeda, who has been called “JFK with tattoos and a bench press,” captured national attention in West Virginia’s competitive 3rd District race by running as a Democratic populist who can appeal to working class voters in the heart of Trump country. He faces a tough opponent in Republican Carol Miller, who is running a race in the mold of President Donald Trump. Trump won ruby-red West Virginia’s 3rd District by nearly 50 points in 2016. Ojeda says he even voted for Trump. But national Democrats think they have a shot in a place where the Trump campaign draws giant rally crowds. 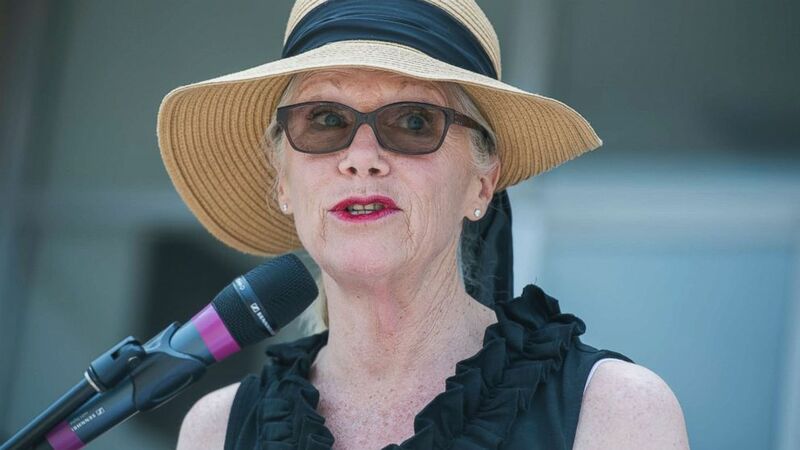 (CQ-Roll Call via Getty Images, FILE) Carol Miller attends a National Day of Prayer event in Point Pleasant , W.Va., May 3, 2018. Last week, the Trump campaign endorsed Miller. While the most recent polls lean toward the Republican Miller in November, Democrats think the 3rd Congressional District has a good shot at turning blue this election. Republican Congressman Evan Jenkins, who was recently appointed to the West Virginia Supreme Court, previously held the district, which curves across the southern bottom of the state. Ojeda's 30- and 60-second ads have an initial week-long ad buy of $120,000, and will be broadcast across the district. (AP) In this Tuesday, May 15, 2018 photo, Richard Ojeda talks outside his campaign headquarters in Logan, W.Va. Ojeda is decorated with military medals and 26 tattoos and can bench presses 300 pounds.